“In 1994 I was writing for “The Portland Free Press”, a small alternative newspaper Edited by researcher Ace Hayes. At the time, I was running a series on military C-130 aircraft destined for duty as Forest Service air tankers that were diverted to use by a group of shady CIA contractors. A source had described to me how money connected to the operation was being run through a bank called “Congress Financial”, which was a CIA front company. I recieved an unsolicited phone call from the secretary of a man named Dr. Richard Fuisz, and I returned the call. Fuisz confirmed the information about Congress Financial, and told me he had called to see if I would run a story about his knowledge of the sale of huge Terex trucks that had been converted to missile launchers and sold to Iraq shortly before the first Gulf War. He had personally toured the assembly plant in Motherwell, Scotland and officials described that it was a joint operation by the CIA and British Intelligence. Fuisz ran afoul of U.S. authorities when he tried to take the story to “60 Minutes”. He had been hounded by private security firms, and had even had a personal meeting with President Bill Clinton to remedy the situation. His hope was to try to get the story in print, and I ran the article. At the time, I realized that Dr. Fuisz was well-connected, but I had no idea that he was an agent for the CIA himself. At the same time Fuisz was feeding me information on the Terex Iraqi missile launchers, he was in contact with another Portland resident, Susan Lindauer. Lindauer was a press aide for then-Congressman (now Senator) Ron Wyden, and it’s my guess that Lindauer may have given Fuisz my article referencing Congress Financial. “Richard Carl Fuisz, M.D. 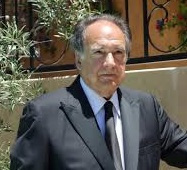 (born December 12, 1939) is an American physician, inventor, and entrepreneur, with connections to the United States military and intelligence community. He holds more than two hundred patents worldwide, in such diverse fields as drug delivery, interactive media, and cryptography, and has lectured on these topics internationally. “In Sept. 1987, Dr Fuisz was given a tour of the main Terex plant in Motherwell, Scotland. The Terex Corporation is a subsidiary of KCS of Westport, Connecticut. “Fuisz was deposed in December 2000 in presence of three CIA attorneys as well as two others from the US DoJ. As not one single question, no matter how much trivial, was answered, the judge decided to adjourn. He really wanted some publicity on the Terex case, at the time it sounded like he was under a lot of pressure for simply reporting to the U.S. Government what he had seen at the Terex plant and how it might affect U.S. plans for the first Gulf War. But I really had no idea how close he had been to the CIA. You can read more about Fuisz, Terex and Lockerbie at the link for “Intel Today”, linked above. This entry was posted on September 1, 2018 at 8:03 pm and is filed under Tell the truth and run !. You can follow any responses to this entry through the RSS 2.0 feed.